On November 11, Canadians will pause for a moment of silence to honour the fallen, reflect on the terrible costs of war, and feel gratitude for peace. 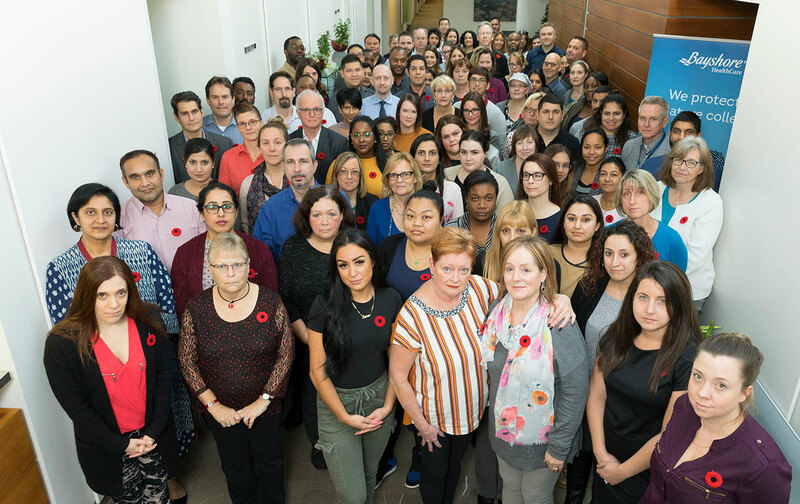 This Remembrance Day, the Bayshore HealthCare family would like to extend a sincere and heartfelt “thank you” to all Canadian veterans and their families. Without your courage, dedication and sacrifice, we would not have the freedoms that we enjoy in Canada today. We also recognize the devotion and selflessness of the thousands of men and women who provided medical care to Canadian soldiers. More than 2,500 nurses served in the Canadian Army Medical Corps overseas – all young women, and all volunteers. Many never came home. Canada is a peaceful country, but our freedoms, rights and quality of life should never be taken for granted. On Remembrance Day, we pay homage to those who fought on land, at sea and in the air for our freedom. Bayshore HealthCare is a Canadian-owned, leading provider of home and community health care services across Canada.